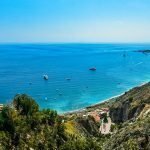 Before your holidays, you should know the best 10 things to do in Palermo, the capital of Sicily. But first, let’s see some interesting facts about this amazing city, and why you should visit. For instance, Palermo is one of the biggest multicultural cities in Southern Italy, with a population of 676,000. Today, Palermo is a bustling city, with many services for visitors and tourists. 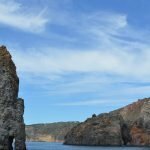 Also, it offers historical attractions, ancient monuments, and breathtaking coastlines. Finally, it’s architecture is a mix of medieval buildings, with Byzantine palaces and 1960’S constructions. Mainly, you can see that is a city that survived centuries of wars, invasions and conquers. Now, you are ready! Let’s see the best 10 things to do in Palermo. 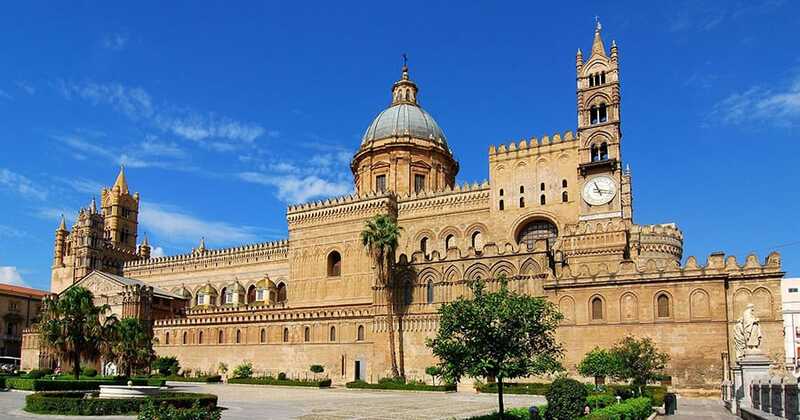 First, in the list of the top 10 things to do in Palermo, we have the Palermo Cathedral. Thanks to the populations that conquered the city during the centuries, the main church mix different styles. Originally, the construction started in 1185, with Pope Gregory I. Then, the Muslims turn it into a mosque. After, it was used as a crypt and, only with the defeat of the Muslims, it went back to its origin. Today, despite suffering from multiple restorations, it remains an example of Sicily’s Arab-Norman architecture. When arriving, you will be mesmerized by the entrance. Indeed, it consists of unique columns and a triangular pediment, with a detailed affresco. Whereas, on the inside, it is all made of marble. Finally, you must visit the royal Norman tombs, the treasury and the roof, where you will have an amazing panoramic view. First, if you are a fan of The Godfather you will know the theatre! Indeed, the final scenes of the third chapter were filmed here. 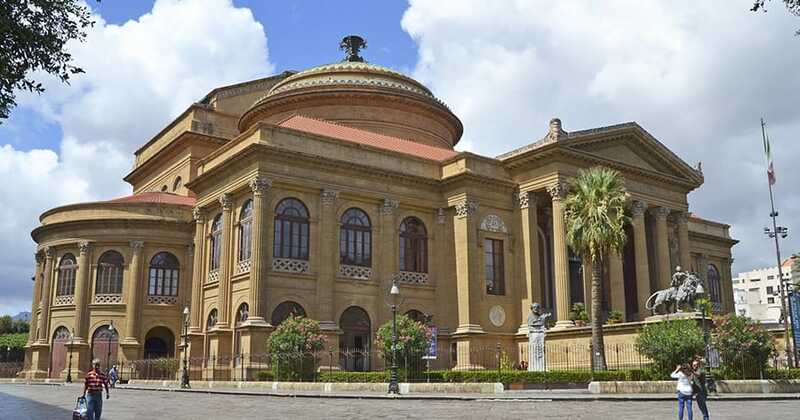 But, the Teatro Massimo as a long history. Opened in 1897, today is the largest Opera House in Italy. Also, this Ernesto Basile’s masterpiece, is Europe’s second-largest opera theatre. At the entrance, you will see thriving and prosperous columns. Then, the interior is decorated with a classic red and gold. Finally, you will reach the stage, that still hosts ballet and music concerts. Daily, you can take guided tours, including the auditorium and its boxes. 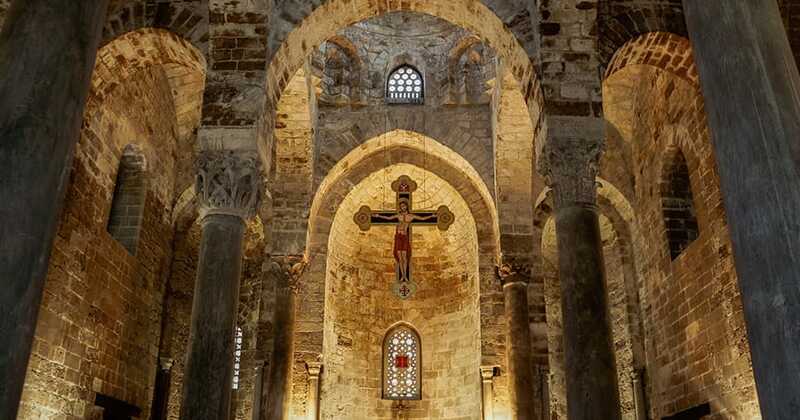 Third, among the 10 things to do in Palermo, you can visit the Cappella Palatina. Above all, the Chapel is next to the Pallazzo dei Normanni. So, you can easily visit both the buildings on the same day. Nowadays, the Chapel is one of the best-preserved examples of Byzantine architecture in Europe. Back in the days, Roger II of Sicily ordered the construction in 1132. Originally dedicated to Saint Peter, the Cappella Palatina has a basilica with unique Byzantine architecture. Here, you will admire the mosaics, rich in details and colours. Also, religious iconography fills the walls and roofs. In working days, including Saturdays, you can visit the Chapel from 8.15am to 5.40pm. While on Sundays only at 8.15-9.45 am and from 11 am to 1 pm. 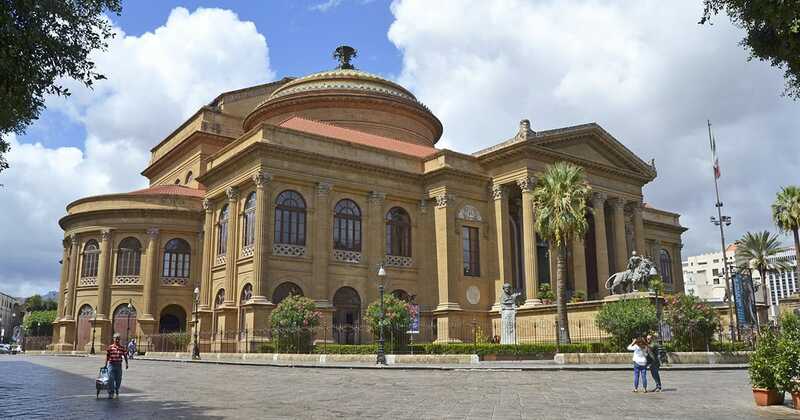 Originally, the Palazzo dei Normanni was built to be the home of the Kings of Sicily. Ended in the 9th century, it is one of the best conserved royal palaces in Europe. After the Kings of Sicily, also the Norman and Moorish lived among its rooms. And, you can notice their presence in the decoration and statues. 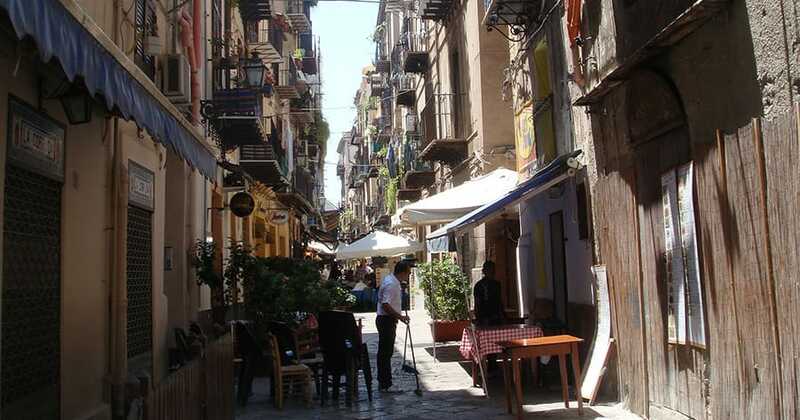 One of the reasons why this is one of the best 10 things to do in Palermo is the external space. Indeed, the main feature is the courtyard, with its beautiful trees, stone arches and decoration. Furthermore, as already said, the Capella Palatina is really next to it. After visiting the greatness of the previously listed palaces, the Catacombs will appear to you as a sober place. Indeed, it’s quiet, with poor light and almost no colours. Built in 1533, their first mummified body arrived in 1599. Then, during the centuries of the plague, the rich families of the city used to bury there their loved ones. As a result, 8,000 of the richest Palermitans rest in peace here. 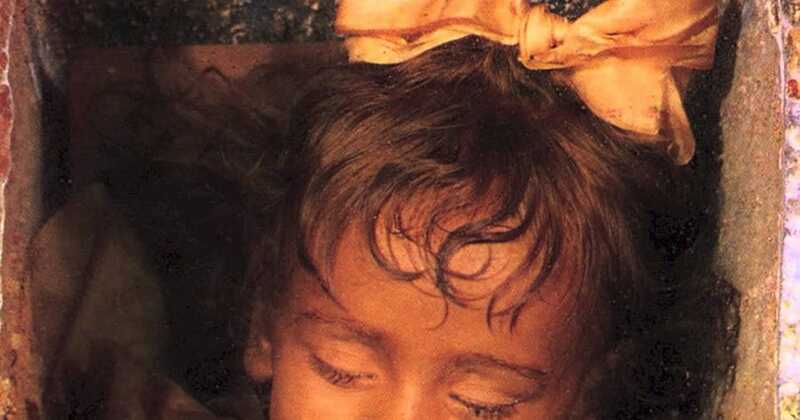 Above all, the most famous body is a two-year-old girl named Rosalia Lombardo, who passed away in 1920. Basically, she was embalmed with a method that preserved her body same as 100 years ago. 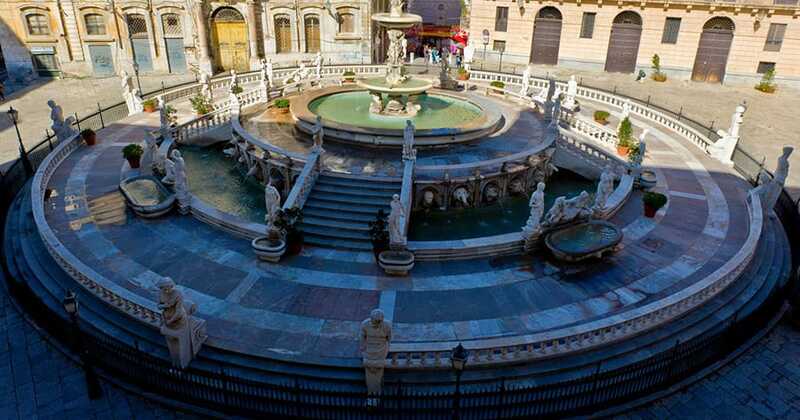 Right in the centre of the Famous Piazza Pretoria, you will see this amazing Fountain. It deserves a visit among the 10 things to do in Palermo due to its history. Indeed, it was built by a Florentine architect in 1554, but only in 1574, they transferred it to Palermo. Among the features of the fountain, the marble statues of the twelve Olympian Gods, including Zeus, Poseidon, Apollo and Ares. Aside from the mighty Olympians, you will be able to see also the animals and rivers of Palermo. Especially if you visit Sicily in Summer, you cannot miss at least one day at the beach. 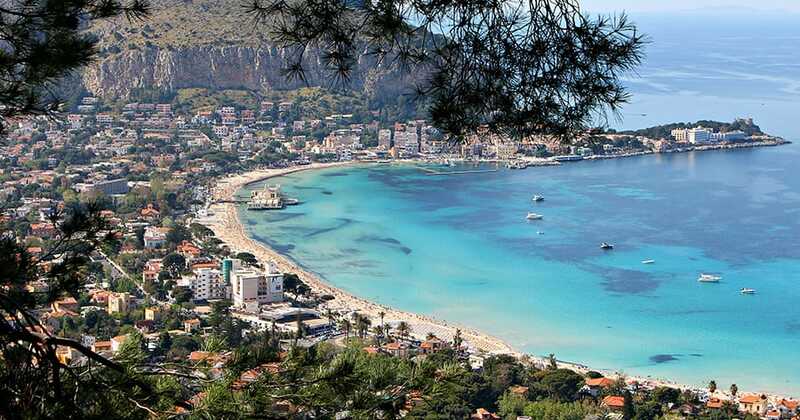 Among all the fabulous beaches in the surrounding, we recommend Mondello. 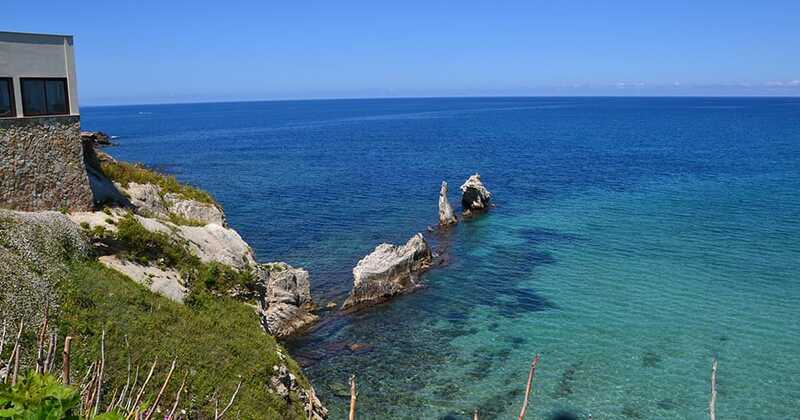 Situated at just 15 minutes from the centre, here you will find a huge sandy beach, with all the touristic services. Although crowded at peak times, you will still have ample space to sunbathe and relax. Also, restaurants and bars are all over the beach and waterline. Finally, not to miss the Art Nouveau, with several seaview restaurants. Most of the city’s shops are in Via Vittorio Emanuele, one of the two main streets in the city. 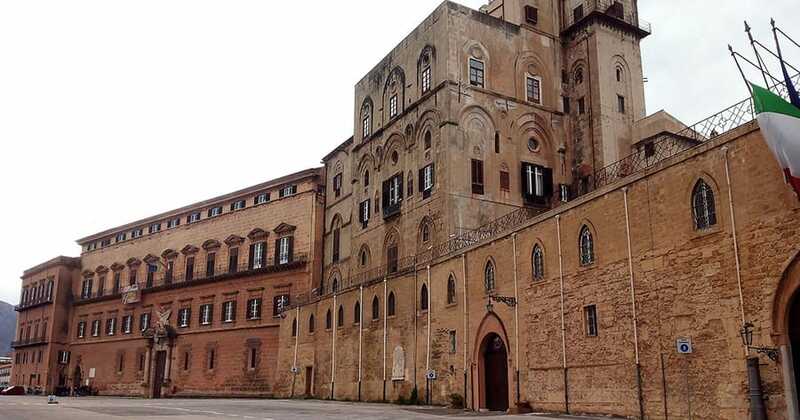 Mainly, the street starts from Palazzo dei Normanni, and cross the city in the centre. When walking by street, you will pass through different districts. Above all, we suggest visiting the fountains of the Quattro Canti, where Via Vittorio Emanuele meets Via Maqueda. Could we not mention food among the top 10 things to do in Palermo? As Sicily is an island in Italy, you can imagine how the culture is related to food. 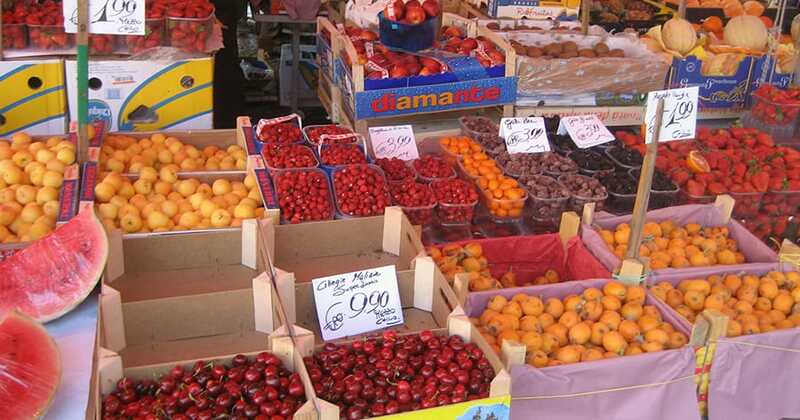 Indeed, when in Palermo, we suggest visiting the numerous food Markets. Above all, The main are Ballaro, Cap and Vucciria. All of them are in the centre, at walking distance from the main attractions. Also, you could book one of our Food tours, and enjoy the best of your experience in Sicily. Last, but not least, of the 10 things to do in Palermo is definitely a visit to its surroundings. First, we would suggest a visit to Cefalu. This is one of the cutest villages in Sicily, and it’s part of a natural reserve. Also, if you travel in summer, you should spend some days at the beach. All the beaches from Cefalu to Palermo really deserve a visit! Even, you could rent a bike and take a small tour of the surrounding villages. To enjoy the 10 things to do in Palermo, we suggest taking one of our escorted tours. To start, our drivers will pick you up from your favourite location. Then, they will drive you to the selected destination. For instance, we suggest our Godfather tour, at the discovery of the places of the famous Mafia Movies. As an alternative, you could also take a food tour next to Mount Etna. During our Mount Etna and Wine Tasting tour, you will take a walk on the traditional Sicilian villages. Then, you will reach the South side of the volcano (Rifugio Sapienza). Finally, you will visit a Sicilian vineyard and try their wine and food. Please, feel free to contact us for any information or particular need you may have.